Orders alerts. Sales reports. Smart suggestions. Start earning more with controlling your sales. 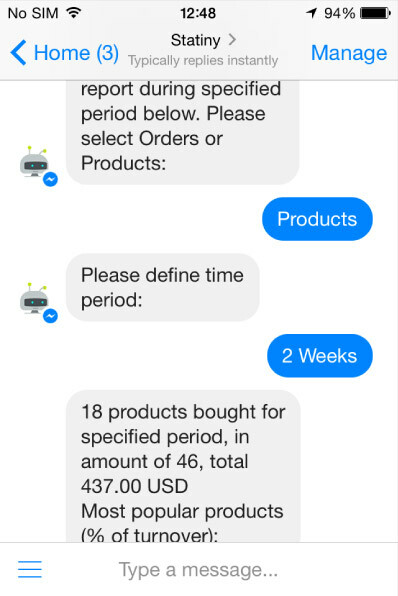 This chatbot will advise you how. "How can I increase my sales?" This is perhaps one of the most common question entrepreneurs and business owners ask. 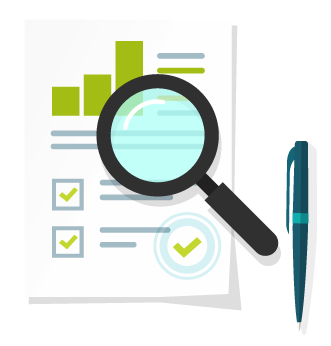 You need to ask yourself what sales metrics you know in your store. For example, do you know your average revenue per sale? The most entrepreneurs and business owners are unable to answer to this simple questions. As a result, they can't increase their sales, because knowing your metrics is critical to sales growth. Once you know your metrics, you can methodically improve them. 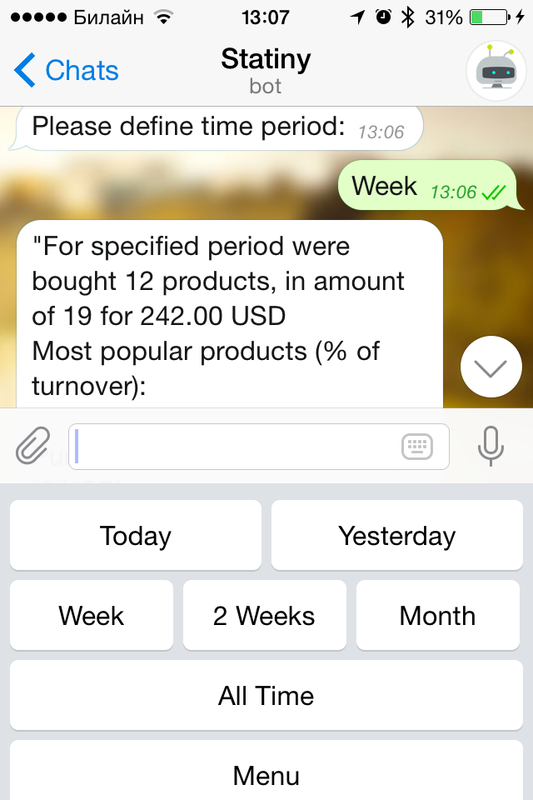 Ask the bot to view or schedule daily, weekly or monthly reports right on your smartphone, and major key performance indicators (KPI) will come to you in readable and comfortable way. Turn it on or off in chatbot settings on Messenger or Telegram app chat. 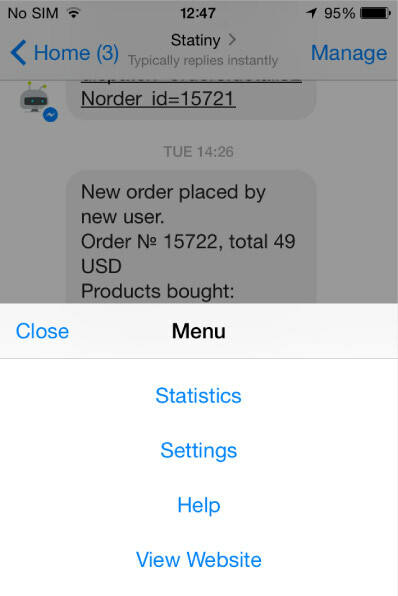 Notification message contains the order number, total sum spent by new or returned customer, products bought and more. Wherever you are you get notifications right on your mobile phone instantly when any customer places a new order on your online store, so you can react quickly. Contact us if your online store operating more than 100 orders per day. Try full featured chatbot absolutely free for the first month. No risk. No hidden fees. Use free or paid version after the Trial period. Do not see your shopping cart in the list? Contact us for custom integration to your store. The addons are intended to connect the Statiny Telegram or Messenger bot to your online store. In depend of shopping cart software you are using for your store you need to install appropriate addon. Installation takes 5-10 mins, all the instructions are included inside the addon package. You can download module here or you will be given with email with downloading links during the first steps chatting with bot. Great addon. Just what I waited for. 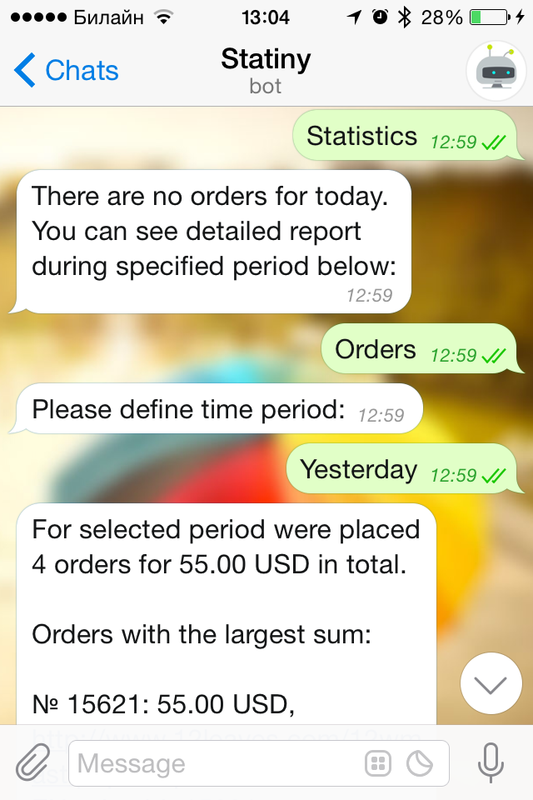 Now me and my partner can see each new order on our messengers on mobile phone, so we can react quickly. Moreover, I can check some period of time ago and compare the sales, popular products that were sold. So easy and simple. Q: What is the difference between free and paid plan? Free plan contains only general order notifications without detailed information of the orders you received in your store, it does not have any sales key metrics information such as reports, orders total, popular products, returned or new customer and so on. Q: After trial is ended, will my money will be deducted from my account automatically? No, you will decide on your own if you want to get paid subscription or will use free plan. Q: Where I can get paid subscription to have full functionality in chatbot if I am in free plan? You can pay at any time in "Admin area -> Apps -> Track Store Sales Bot - > Billing Information" section. Q: Can I cancel any paid subscription? Yes, you can I cancel any paid subscription at any time.